The decoration system was established by the Council of State Decree No. 54 (1875). Ratification records and other related documents are compiled by year and date. Includes honors and decorations bestowed on foreigners. On this occasion, JACAR has made available records covering the period from 1946 to 1954. We released 108 files pertaining to postwar issues, including "Documents relating to Acceptance of Potsdam Declaration", "Documents relating to Allied Powers’ Occupation Policy and Military Administration", "Documents relating to Liaison Conference on Public Relations", "Board Meeting Minutes of Central Liaison and Coordinating Office", "Minutes of Inter-ministry Committee of Central Liaison Office", and "Official Reports / Central Liaison Office". We released items pertaining to Korea, China, and the Soviet Union in "Documents of Japan’s Foreign Policy Research / Policies toward Asia", "Documents of Japan’s Foreign Policy Research / Related to Foreign Affairs Council", "Bi-weekly Reports on Matters Related to the Several Nations’ Policies toward Japan". We released files on the diplomatic relations between Japan and Nepal, Indonesia, Cambodia, Laos and Vietnam. We released files on the diplomatic relations between Japan and the UK as well as British Commonwealth countries (Sri Lanka, Pakistan, Australia, India, New Zealand). We released files on the diplomatic relations between Japan, France, and French Indochina. We released the file pertaining to "International Communism and Activities / Related to Communist International and Communist Information Bureau ". We released files pertaining to "Documents on the Constitution of Japan / Research Materials" and "Miscellanea on Conditions of Former Japanese Overseas Territories”, Volume 1. We released 5 volumes of files pertaining to "Documents on the Korean War". We released materials pertaining to "Documents Related to World War II / U.S., U.K., French, Soviet and Other Countries’ Foreign Minister Meetings on Postwar Reconstruction Issues ". Records concerning the Economic Stablization Board are materials which were stocked at the Library of the Economic Planning Agency. 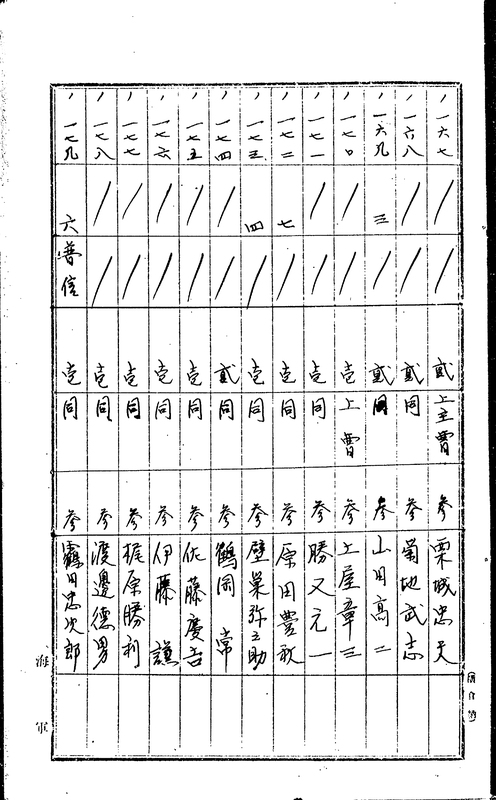 Records on financial administration such as taxation, currency, and Nishihara Loans (yen loans to China provided by the Terauchi Cabinet during 1917 and 1918). Also included are prewar diaries and letters of Shoda Kazue (1869-1948), who served as Minister of Finance among other posts. 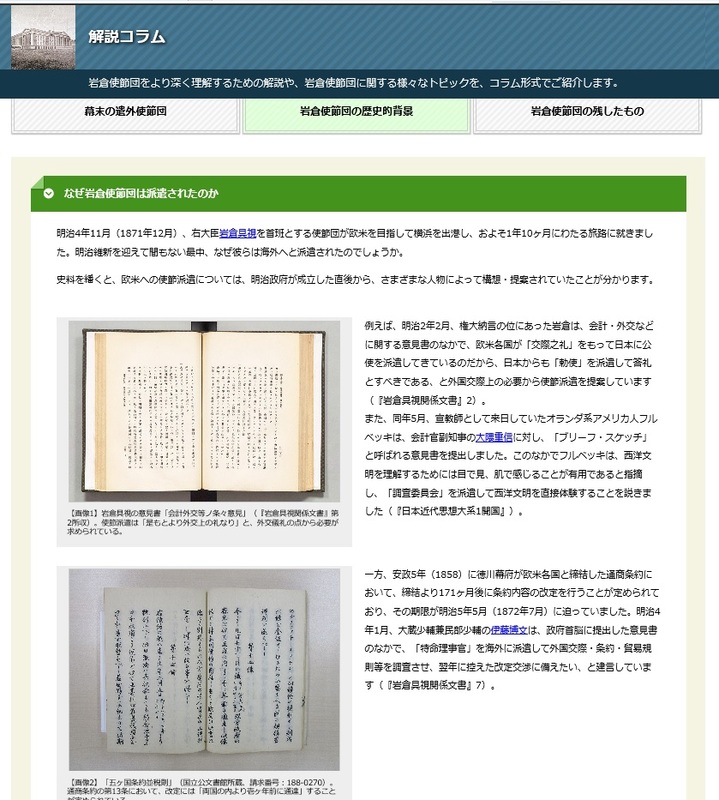 The materials compiled into the first eight volumes of "Showa Zaiseishi Shiryo (Records of the Financial History of the Showa Period)" were created or received by bureaus and departments in the Ministry of Finance during the time after the Great Kanto earthquake of 1923 and before 1938. There are eight volumes according to the time of collection, and classified in 38 categories. JACAR on this occasion is releasing Volume 9, adding to the already-released Volumes 1 through 8. Volume 9 comprises materials collected from 1926 until the end of the World War II, according to the same classifications as that for the previous volumes. 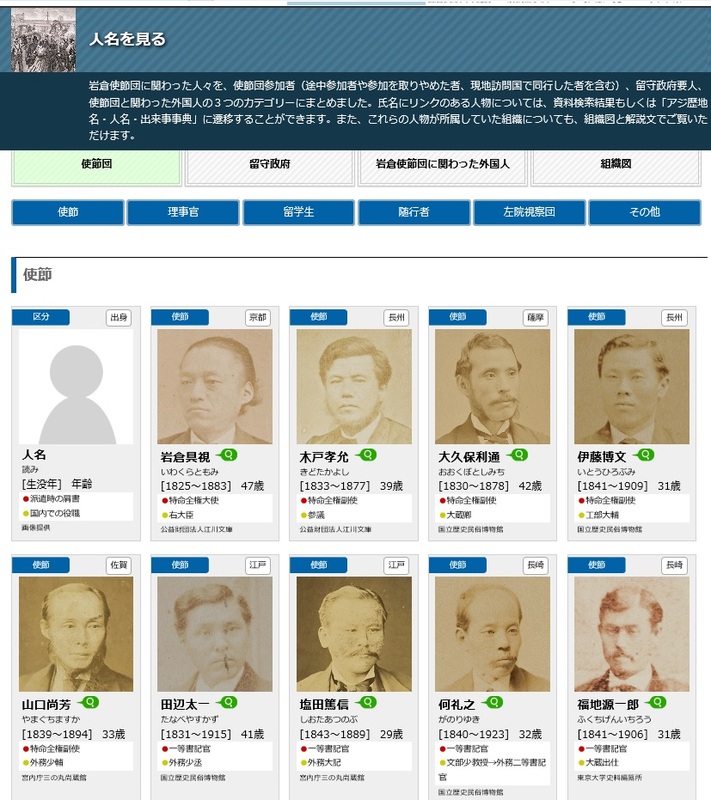 Diplomatic Archives of the Ministry of Foreign Affairs of Japan has launched a web search system for diplomatic historical records. The system can be used without a user account. You can browse images of “the Sovereign Letters and personal letters from heads of states” in pre-war period and also access other catalog information（partly pre-war and post-war records） of JACAR. “There is a person out there who kept as a memento the diary written by his father who died of starvation in the Marshalls during the war.” I first heard about this diary in spring 2014 when I was living in Majuro, the capital of the Republic of the Marshall Islands. I subsequently got to know that son, a man named Satō Tsutomu. Tsutomu’s father Tomigorō was drafted in April 1943 as part of a general call-up when signs of Japan’s eventual defeat were already apparent. He shipped out from Yokosuka that July. He was stationed on Wotje Atoll in the Marshalls, which was defended by the 64th Guard Force of the Imperial Japanese Navy (IJN). Around 20,000 Japanese troops lost their lives in the Marshalls during the Asia-Pacific War. While these included units that were almost completely decimated in combat, but there were also more than a few whose supply lines had been cut and this left them to contend with starvation to the end of the war. The 4,000 or so soldiers on Wotje Atoll were forced to be self-sufficient for one year, nine months. until the war’s end after command of the air and sea had been lost. Tomigorō was one of those soldiers. Until his death from malnutrition in April 1945, he wrote a detailed daily record along with his farewell note in two pocket notebooks. He had lived for 39 years. These notebooks that had been left to Tsutomu were the only mementos he had of a father who he did not otherwise remember. I took up the challenge of Tsutomu’s long-held dream of deciphering the entire text of the diaries. I needed the assistance of a variety of people to accomplish this task. I relied on public documents and military history resources as reference materials to determine what the war situation was at the times being referenced, explain the military terminology being used, and identify people and places. The two pocket notebooks in which Satō Tomigorō wrote his diary. The notebooks were delivered to Satō’s family some years after the war. We know from the letter enclosed with the notebooks that they were sent by a Mr. Harada who lived in Yamanashi Prefecture. However, the envelope on which his full name and address have gone missing, and so it was not possible to determine what became of him. In his letter, Harada wrote that Tomigorō and he were “comrades-in-arms” among seamen “of the same year.” Given that Harada would now be 112 years old if he were born in 1906 as Tomigorō was, I proceeded with searching for materials to help me in my deciphering efforts aware that I probably wouldn’t even be able to find any traces of Harada. The unit to which Tomigorō had been assigned was the IJN’s 64th Guard Force. An internet search using that string as a search term turned up a document in JACAR’s database, “Filed copies of wage notifications for survivor”. This document was produced on August 20, 1945. 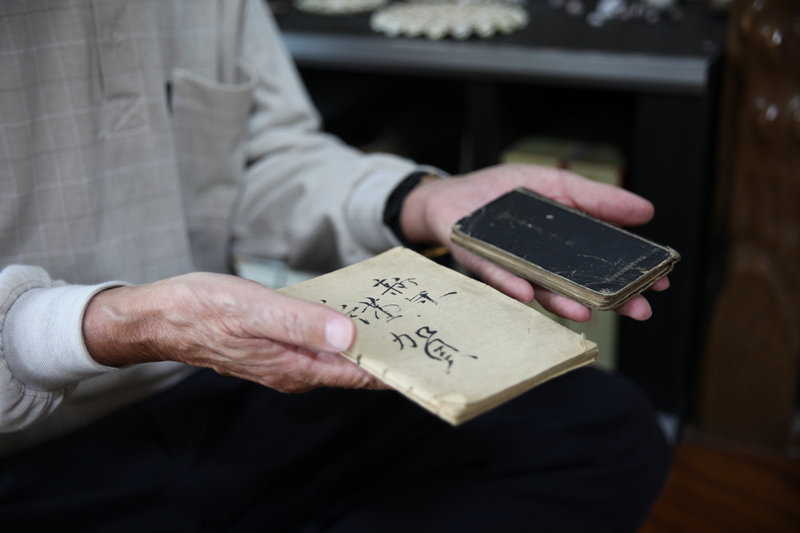 It is a passbook that records the final wages paid to the surviving members of the 64th Guard Force contingent with the ceasefire agreement concluded after Japan’s defeat. Under conditions that resulted from repeated air attacks that made it likely even still having a pen and paper was rare thing, the spectacle of paymaster Lieutenant Kitajima Hidejirō (Correct reading of personal name is unclear.-Tr.) having written down the names of each and every soldier who was still alive stands out. Doubtless the faces of his fallen comrades-in-arms came to mind during the interminable wait for the ship that would take survivors home. Two people with the surname “Harada” appear on the roster of names. Given that Harada described Tomigorō his “comrade-in-arms” in his letter, it may be assumed that Harada and Tomigorō were attached to the same unit. This led me to believe that the diary had probably been sent by one of these two Haradas. 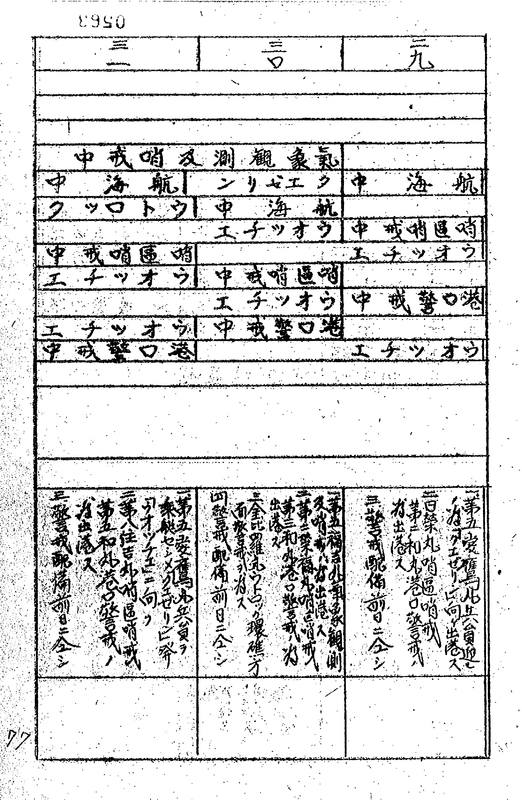 The name “Harada Toyoaki” appears in the 6th column from the right, and “Kabesu Yanosuke” appears immediately to the left in the 7th column. The letter writer also reported that he and Tomigorō “we he couldn’t die because we had darling wives and children back in the home country. Whenever I talked with Tomigorō, the subject was always our wives and children.” It can be inferred from these conversations that Harada was also a married father. Turning our attention to the numbers of dependents listed in the passbook, we see that the space in the column for Harada Bunzō (Correct reading of personal name is unclear.-Tr.) has been left blank, while “7” appears in the column for Harada Toyoaki. If we surmise that letter-writer Harada who had a wife and children therefore had dependents, then the possibility is quite high that he was Harada Toyoaki. I then learned from records held by the Ministry of Defense that Harada Toyoaki was from Yamanashi Prefecture and that he was born in 1906 just like Tomigorō. This made it clear that the comrade-in-arms of the same year who sent the letter from Yamanashi was Harada Toyoaki. The diary was written mainly in pencil and pen. Due the paper having deterioration from exposure to the elements, there are numerous places in which the writing was difficult to decipher with the naked eye. There also are places where a passage’s meaning does not come across when transcribing the characters the way they appear. In those case, I went ahead with my deciphering work bearing in mind the context of the preceding and following material along and Tomigorō’s writing tics. I take a break from cleaning fields and planting more because my legs are swollen. From the scavengers I get three screwpine fruits and a coconut. Leading Seaman X-su stops at Enea on his way to Wormej. I gave him some straw sandals. They were old. This is the entry for February 19, 1945. Tomigorō at the time was in charge with administering Enea Island. No matter how much I looked at it, in the end I was not able to decipher the character represented by the “X” in the name above. If I stare at it long enough, it appears to be the character“辟” (read as heki). Given that the it is followed by “巣” (read as su) and then two characters that indicate the rank of “leading seaman,” I surmised that “辟巣” was a person’s name. If we wanted to be certain of what this name is, we might turn once again to the “Filed copies of wage notifications for survivor” passbook used to determine the identity of comrade-in-arms Harada. This time, I ran my eyes over the list to see if there was someone who had a last name that resembled “辟巣”. Stranglely enough, doing so I found just to the right of Harada Toyoaki an entry for someone named “壁巣”(read as Kabesu). As I read through the text that Tomigorō had produced since receiving his call-up in 1943, I noticed he developed a tendency in his writing to abbreviate the way he wrote characters—abridging radicals and other components. If we presume that the “土” element on the bottom was abrided leaving only the “辟,” then we can imagine the scene 73 years ago February 19 was one of Kabesu Yanosuke coming up to Tomigorō as the latter visited Enea Island and Tomigorō giving him an old paper of straw sandals. Aside from considering people’s names, using the documents I was also able to trace back the journey Tomigorō took from Japan to Wotje Atoll. From the jottings in his diary, I saw that he departed from Yokosuka on July 9, 1943, and took three different vessels to eventually reach the Marshalls and Wotje Atoll that August 1. The day before his arrival in Wotje, the vessel stopped along the way after setting out from Kwajalein Atoll to fish for bonito. We can infer from this that the third vessel was likely a small craft such as a fishing boat, but we do not know its name from his diary. Many units produced wartime logbooks. According to the logbook of the IJN’s 64th Guard Force for July 1943 along with other military historical resources, the former fishing boat Dai-go Aitaka-maru departed Kwajalein on July 31 and the following day took on 80 or so personnel who it delivered to Wotje Atoll. In such ways, I was able to track down unit details not recorded in the diary by working through multiple resources. In spring 2016, together with Satō Tsutomu I visited Wotje Atoll where his father met his fate. The scars of war still remain in some places here despite more than 70 years having gone by since the time when Tomigorō wrote his diary, chatted with his comrades-in-arms, and worked assiduously to produce more food. Through those mouldering war ruins I was able to get a mental image of the scene however slightly as Tomigorō saw it in his time, but it was difficult to imagine what the days spent fighting starvation must have been like. 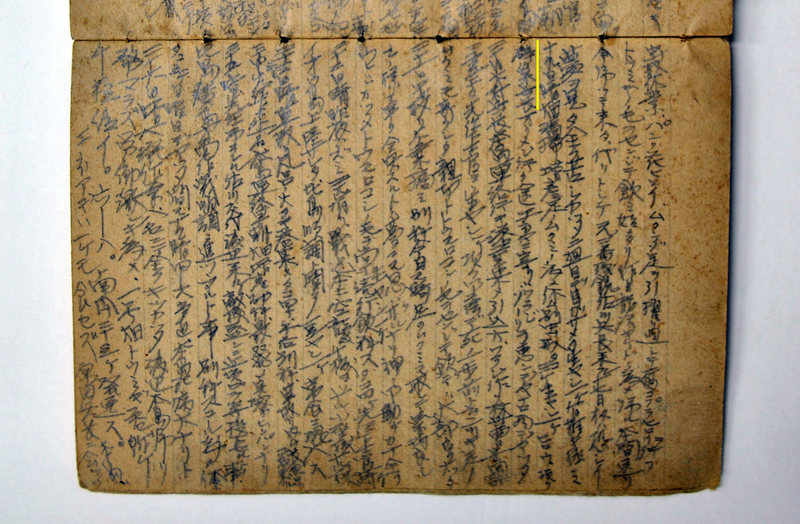 When you peruse Tomigorō’s diary after the war, you are struck by how he scrupulously noted day by day the various ailments such as edemas, hunger pains, and diarrhea that emerged as war conditions worsened. The image arises of him as he confronts his own death. The weakening of his physical strength and willpower as his time drew near is vividly conveyed by his penmanship as his writing grows extremely chaotic. “Be healthy and cheerful. Eat good things, too, and get by with your lives.” It was with those words that Tomigorō bid his farewell 70 years ago. I wonder if we are living in the future he hoped for. Hearing his quiet voice as I peruse public documents as the Heisei era draws to a close, I am still cannot say if this is achievable now or even in the future. Nihei Yoshiaki. “Satō Tomigorō ittō heisō no isho, senjō nikki [The farewell note and combat diary of Petty Officer 1st Class Satō Tomigorō]”. Hakuō Daigaku ronshū [Hakuoh University collected theses] 25, no. 1 (2010). Ōkawa Shiori, ed. Mārsharu, chichi no senjō: Aru Nihon hei no nikki o meguru rekishi jissen [The Marshall Islands, My Father's Battlefield: A journey of historical practice around a Japanese soldier's diary]. Tokyo: Mizuki shorin, 2018. 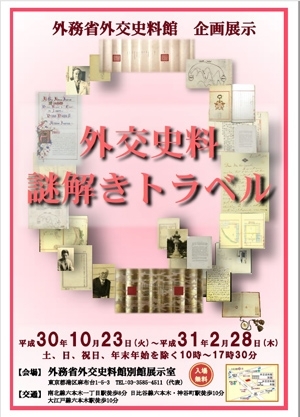 This special exhibition focuses on the Iwakura Mission that was dispatched at the start of the Meiji era. We introduce the Iwakura Mission’s historical background and activities along with maps, chronological tables, and writing about them. 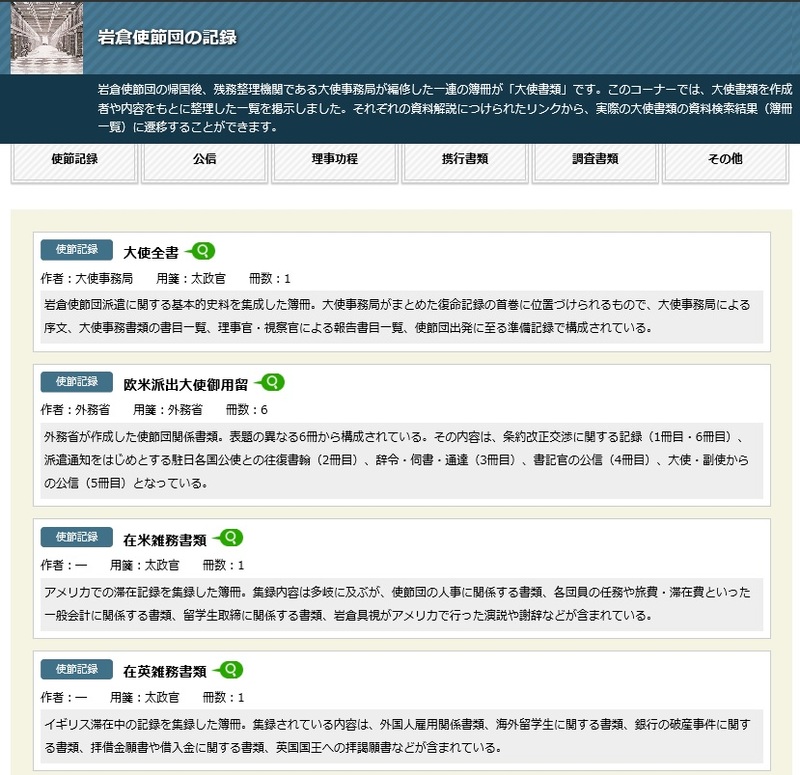 It is also possible to search records left by members of the Iwakura Mission and associates. 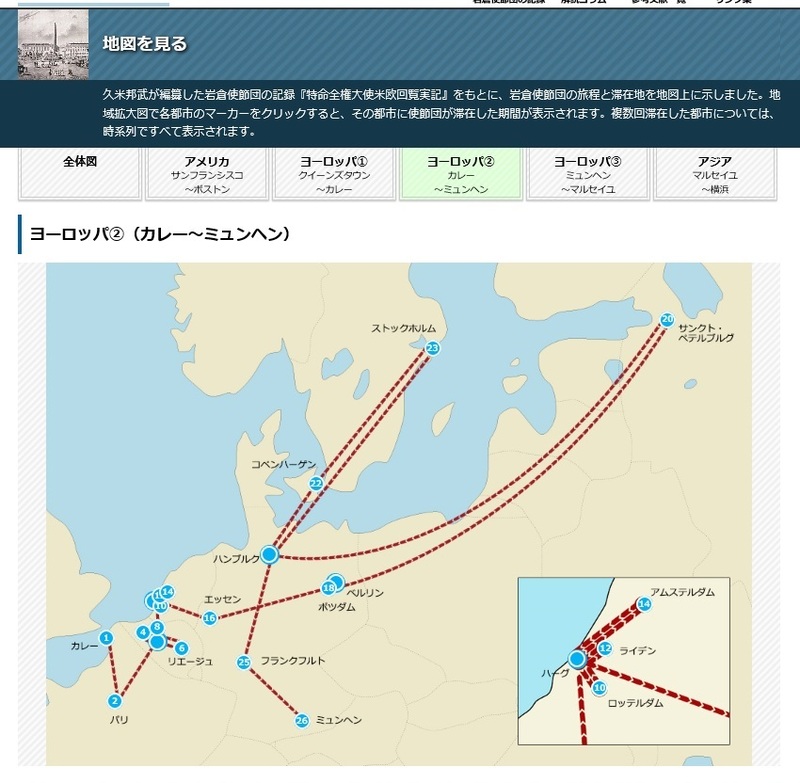 Iwakura Mission's journey is represented on the map. 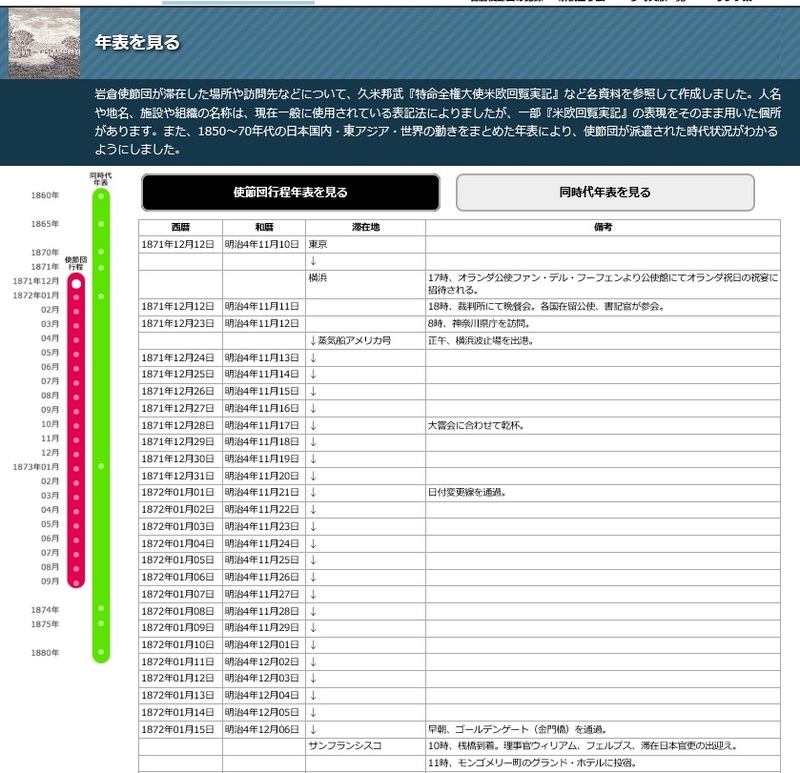 Iwakura Mission activities are detailed in the chronological table. The tables also explores the historical context in Japan during this period as well as other Asian and Western nations. This link includes information on roughly 150 people with relations to the Iwakura Mission. The Meiji era individuals involve those connected with the mission’s studies abroad, Japan’s governmental absence, and non-Japanese who came into contact with the mission. This link is connected to JACAR’s record search system and search results involve location, name, and dictionary. This link introduces Ambassador Documents (from the holdings of the National Archives of Japan). The documents were created as a compilation of materials involving the Iwakura Mission materials before dispatching and continuing until after returning to Japan. Commentary on the Ambassador Documents is included along with links to images released by JACAR. understanding of the Iwakura Mission. Held presentation at The Japanese Society for the History of Chemistry in Tokyo. Held presentation at Association for Studies of Chinese Society and Culture in Tokyo. Held presentation at EACJS in Kyoto. Held booth exhibition at the 19th Library Fair & Forum in Yokohama. Held presentation at Japanese Association for Contemporary Historical Studies in Tokyo. Held booth exhibition at AAS in Asia in New Delhi. Held presentation at EAJRS in Kaunas. Held presentation at International Academic Conference of the Institutes for Research and Editing of East Asian Historical Resources in Beijing. Mr. Kiyohito Hamada（National Museum of Nature and Science Japan, Chief of External Activity Promotion Division）etc. Japanese have long been familiar with the medicinal effect of hot spring bathing. 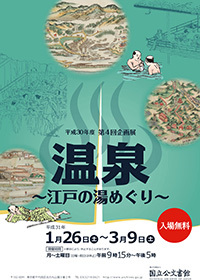 During the Edo period, information on hot springs spread through “Meisho Zue (sightseeing guides)” and travelogues, making them popular destinations. While hot springs were initially valued for their healing properties, they gradually became resort spas. This exhibition introduces the relationship between people and hot springs through historical materials mostly from the Edo period. The Diplomatic Archives of the Ministry of Foreign Affairs of Japan receives many questions from home and abroad about the materials in its collection. Choosing eight out of those questions, this exhibition introduces a variety of aspects of Japan’s diplomatic history, together with original documents. Please enjoy the time travel to see the diplomatic records and solve the mysteries. Thank you for reading the JACAR Newsletter No.27, and we hope you enjoyed it..